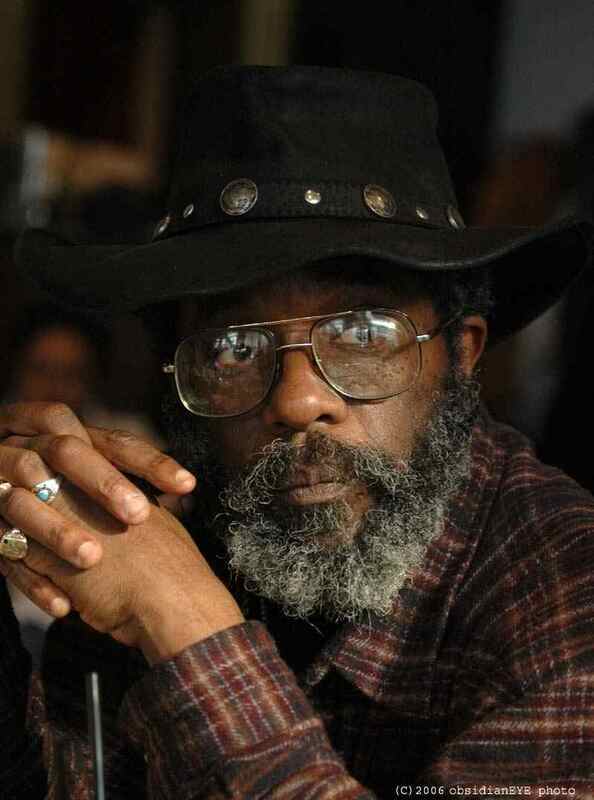 Lamont Steptoe’s work has been featured in dozens of anthologies, including The Oxford Anthology of African American Poetry. Philadelphia’s Congo Square lies a block away from the most historic building in America, Independence Hall, where the Founding Fathers boldly began their rebellion against the British Empire. The park, more commonly known as Washington Square, is advertised as a somber burial ground for Revolutionary War soldiers, Continental and British alike. However, thousands more buried in the square remain overlooked, including slaves, free blacks, Catholics, and victims of various epidemics. The Tomb of the Unknown Revolutionary War Soldier, the centerpiece monument of the park, marginalizes the unmarked graves of the oppressed by barely mentioning their presence underneath. This is in spite of the fact that the square had been a “stranger’s burial ground” (and consequently a gathering place for what Steptoe affectionately calls saltwater Africans) for almost a century before the Revolutionary War began. Through “Meditations in Congo Square” American Book Award Winner and Pew Fellow poet, Lamont B. Steptoe, undertakes the daunting task of providing a voice for disregarded human beings buried in the dregs of American history. Reading Meditations in Congo Square is not a front to back cover endeavor, as many of the poems in this short book can easily stand on their own. This is because Steptoe’s “Meditations…” functions not only as a testament to colonial people’s history, but also often as a warning against war and oppression in the present and the future. Steptoe’s ability to translate the humdrum of an average day into existential prophecy is frankly impressive, “…we are snowflakes falling on a / summer day vanishing in air while the unborn await their turn / to imagine our lives we are empty vessels dreaming of fullness.” In another poem Steptoe muses that when he was young he never would have thought the subject of weather would be a topic of conversation for him, let alone a metaphor for the transcendence of physical to spiritual. In this respect, Steptoe refers to the path of tropical storms originating in West Africa and crossing the Atlantic, the same route that saltwater Africans were forced to take. In No Name Worthy to Claim Steptoe speaks for a dead African joyous of being able to journey back home across the Atlantic, “I rushed across waves and plowed through storms / I entered the tabernacle of my youth.” Altogether, Steptoe’s Meditations… focuses on balancing historical and contemporary forms of life and death in Congo Square, and his unique method of meditative writing transforms the mundane into something spectacular. Good sentences in this essay, Shorter sentences, more in the magazine style. Yeah, I edited it a lot.